Alexander Skarsgard was naked on the True Blood finale on Sunday. I don’t watch the show anymore but apparently he was reading a book in the snow and then some sh-t went down and everyone’s panicking. Oh please. True Blood is the one show you don’t have to panic over. They can make anything happen. And/or not happen. 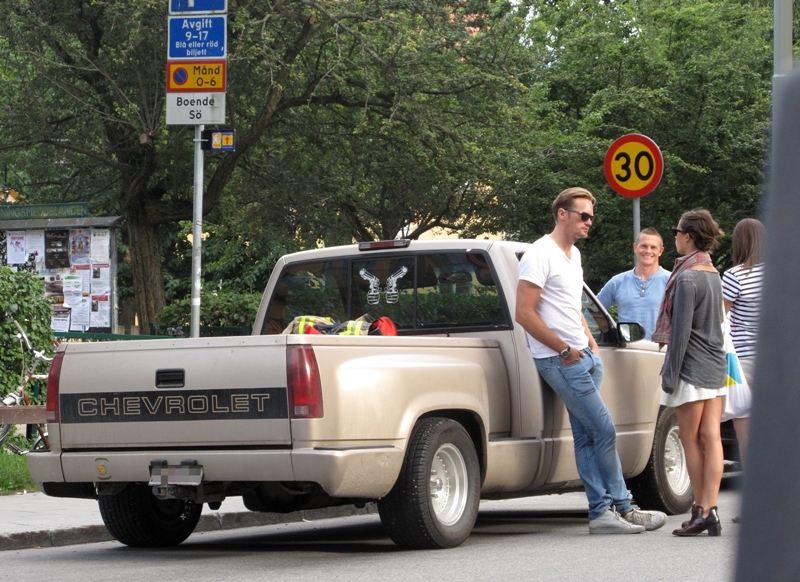 Anyway, Skarsgard is now in Stockholm. He was photographed with Alicia Vikander in Stockholm yesterday after eating. They apparently drove off in a car together afterwards. Which obviously means they wanted to f-ck off their calories. I LOVE her shoes.